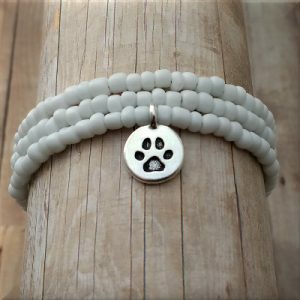 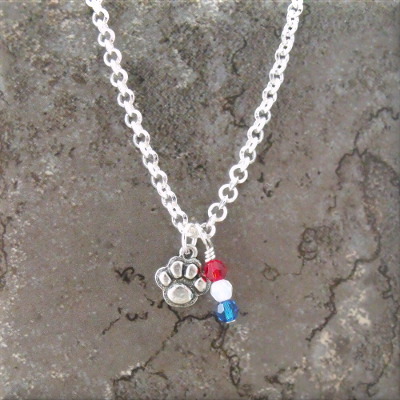 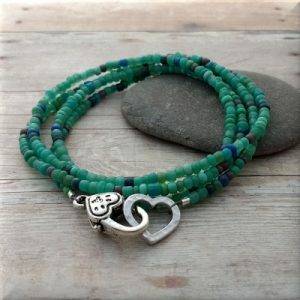 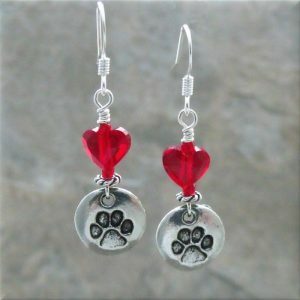 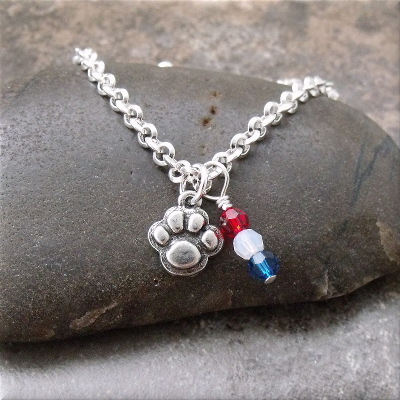 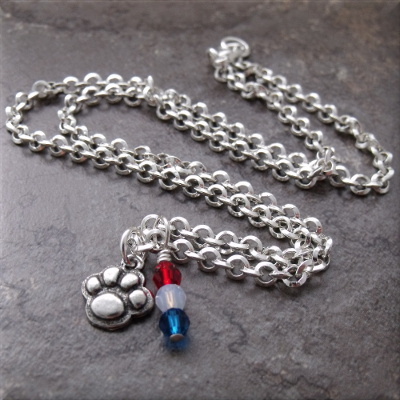 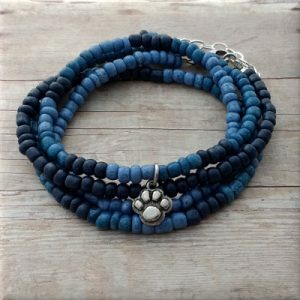 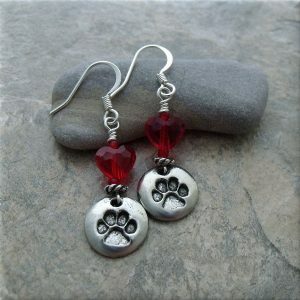 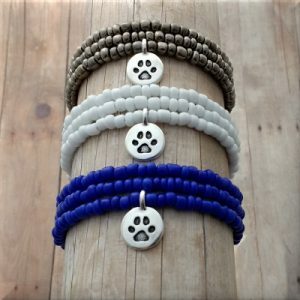 A silver pewter puffy paw print charm hangs right in the middle of a brilliant silver rollo chain. 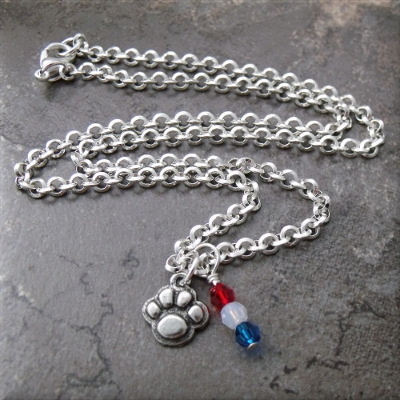 Dangling on one side is a row of Austrian crystals in a patriotic theme of red, white and blue. 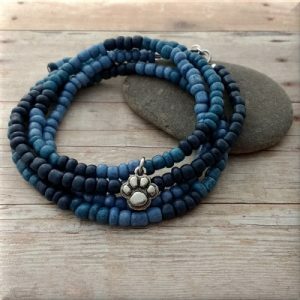 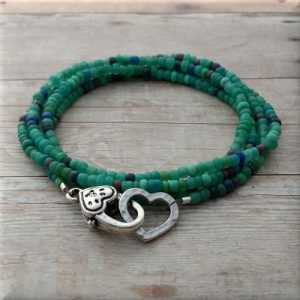 Light weight and easy to wear all year round!